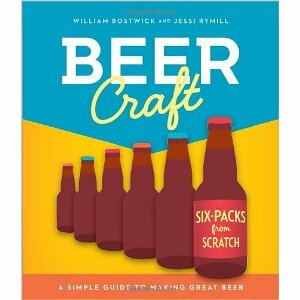 Learn the art of home brewing in your own kitchen with Beer Craft: A Simple Guide to Making Great Beer. Brew top-notch beer on your stove with this easy-to-follow book. Brew in six steps, create various different flavors, learn to create labels and bottle-caps, get professional brewing tips, and even learn some beer history. And lastly, enjoy your beer! Add a little spice to your next bbq and put stuffed chili peppers on the menu! 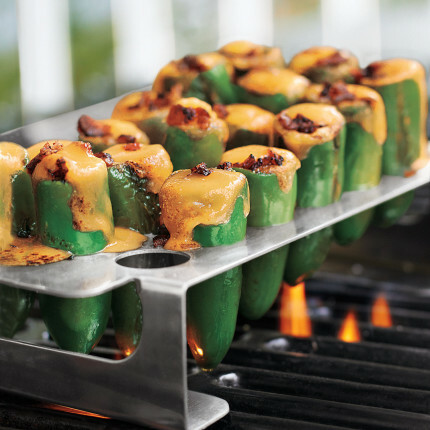 Make them easily on the grill with the Chili Pepper Grill Rack and Corer from Sur La Table. Stuffed chili peppers are a delicious appetizer, but usually not accessible for the grill. Well now, this stainless steel rack can make up 18 chili peppers simply and quickly. 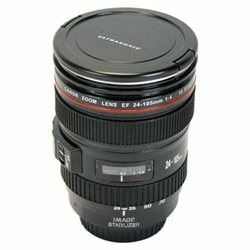 Take your coffee to go in this awesome Camera Lens Mug. This is a cool-looking, on-the-go mug with cap and stainless steel interior. It is designed to replicate an actual lens from a Canon camera. The details reflect that of the popular Canon Lens EF 24-105mm f/4L IS USM 5D. Very realistic, so don’t confuse it with the real thing and spill coffee, all over your SLR camera! This mug makes a wonderful present for any professional or amateur photographer! 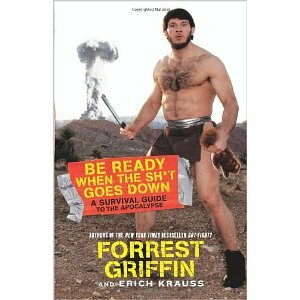 Be Ready When the Sh*t Goes Down: A Survival Guide to the Apocalypse, written by Ultimate Fighter Forest Griffin will prepare you for any coming armageddon! Read his humorous and potentially life-saving advice for if and when the world implodes. Your life (and funny bone) may depend on it! Many men have forgotten how to be real men, not neanderthal men but gentlemen. 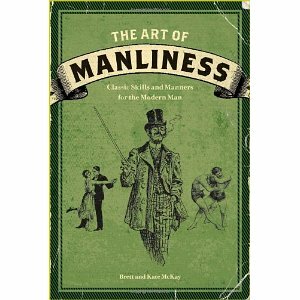 While entertaining, fun, and witty, The Art of Manliness: Classic Skills and Manners for the Modern Man is an informative book for every modern man. 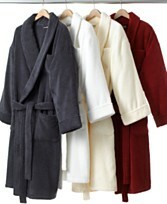 It reminds and teaches the proper skills and timeless etiquette every man should possess. 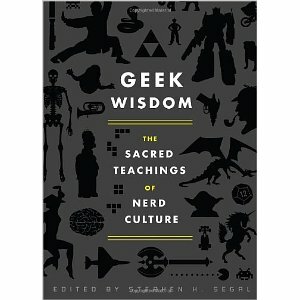 Go read it and Man Up! Jazz up your next party with the Fred Cool Jazz Ice Cube Tray. 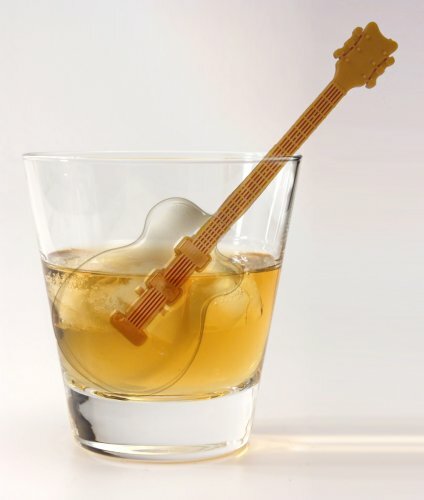 Use it to make cool guitar ice cubes with guitar stick stirrers. Each tray comes with three ice molds and stirrers in a package. Great entertaining idea for music and guitar lovers! Bacon lovers, this one’s for you: The Bacon Cookbook: More than 150 Recipes from Around the World for Everyone’s Favorite Food. Bacon just makes everything tastes better, whether it’s breakfast, soups, appetizers, sandwiches, stews, main courses, even desserts. 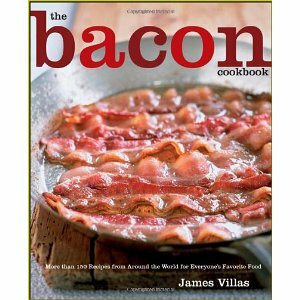 This book is filled with bacon recipes for all of these foods and much more! Who doesn’t love bacon! Comfortable, stylish, cool! These are the Black Canvas Classics from TOMS Shoes. Did we mention these shoes also help a child in need? TOMS Shoes’ “One For One” program gives a new pair of shoes to a child in need for every pair purchased! What couldn’t be better – a new pair of shoes for you and a new pair of shoes for a child in a developing country!